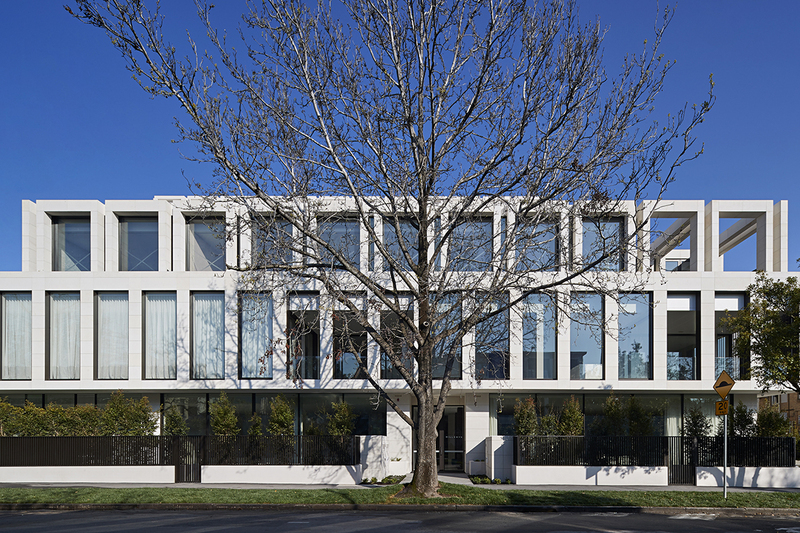 First covered on Urban.com.au back in 2016, Pask Group's The Millswyn in South Yarra is now more or less complete. Located at 23 Millswyn Street the three-storey development features just 10 apartments designed by Rob Mills Architects, complemented by landscape design by Paul Bangay..
Urban.com.au spoke to Pask Group's Managing Director Dean Pask about collaborating with Rob Mills Architects and Paul Bangay, as well as some of the challenges associated with developing in historically sensitive areas. 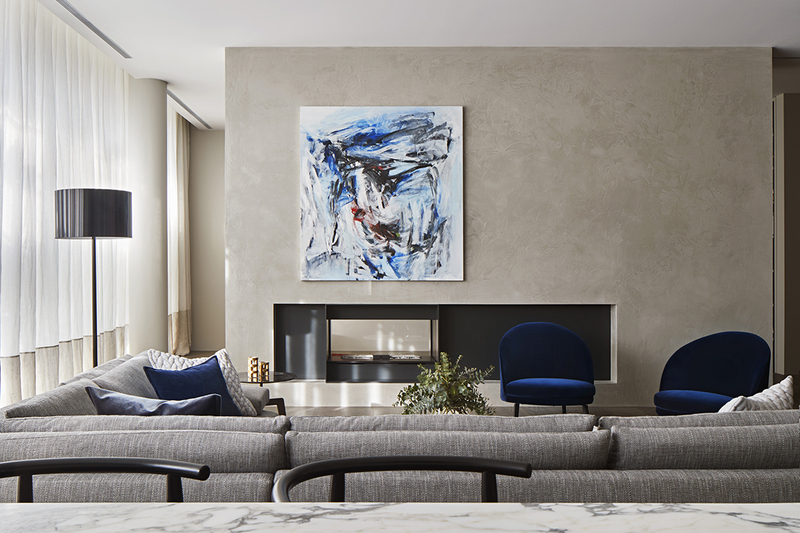 Urban.com.au: The project retains much of the original facade of the Victorian Italianate Mansion which helps the building sit comfortably within the historic streetscape. How important was ensuring the building didn't appear foreign in the streetscape? Dean Pask: Although we did not want the apartments to ‘mimic’ the Mansion, it was important that the apartments respected and were sympathetic to the heritage values and design aesthetic of the home and sat comfortably with what can be quite an eclectic streetscape. The classical lines and isernia limestone facade, juxtaposed with floor to ceiling glass, assist with infusing the apartments with a classical contemporary feel to complement the grandeur of the Mansion. U: How difficult is it to develop in these historically sensitive areas and what are some of the challenges? DP: The challenges are numerous, including taking precautions to ensure that heritage buildings are preserved, during what can often be a lengthy approval process, as well as managing and balancing the preservation of these heritage values with clients’ expectations that the home will still meet today’s standards and conveniences. The cost of achieving this outcome is also often difficult to quantify. Having said that, we often gravitate to projects with a heritage element and although the journey can be difficult, we take satisfaction in preserving a piece of local history, for a new generation to appreciate, and trying to achieve an appropriate balance between heritage and contemporary design. U: Now that the Millswyn is complete, do you feel that you achieved what you set out to do? And is there a particular aspect which surprised you or you think is the highlight of the project? DP: We are all very satisfied with Millswyn’s place in what, in my view, is one of the most desirable pockets of South Yarra. We set out to create 11 individual homes, rather than apartments, and when you walk through each home and appreciate the space, natural light, finishes and privacy created by the gardens, I think we managed to achieve this. The configuration of the site, formerly being a hotel with a very generous street frontage, enabled us to achieve a sense of scale and presence that is usually only found in buildings of a much higher density. 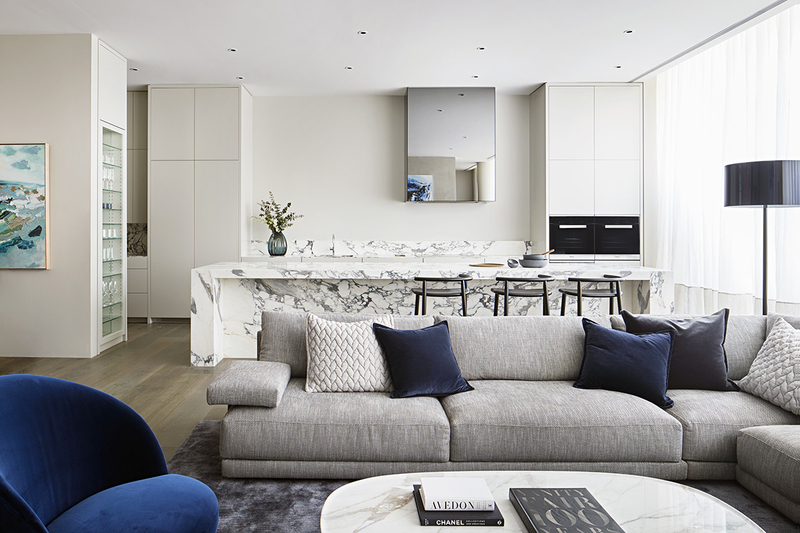 U: How did you find the process of collaborating with Rob Mills Architects and Paul Bangay? DP: Both Rob and Paul have collaborated on many projects, which is reflected in the seamless transition from indoor to generous outdoor spaces and making each apartment feel like a ‘home’. With their experience and personal attention to detail in designing luxury homes, they were the appropriate choice to achieve the desired outcome. Together we were also able to work with some clients, early in the design process, to achieve a level of customisation. U: When do you expect the first residents to begin moving in? DP: The first residents will be moving in within the next month. U: What's next on the horizon for Pask? DP: We have a wide range of projects at various stages in Melbourne, ranging from residential communities, townhomes and retail. Our next project, in this vicinity, will be a boutique commercial office building in East Melbourne, which interestingly also has a heritage element. Based on the success of Millswyn we are also searching for an appropriate location for our next luxury apartment project, although sites in these locations are not easy to find.